Yesterday, just when we were coming down with a massive case of urban cabin fever in Phoenix, Arizona, we got out on a glorious hike in the Sonoran desert. We ended up on a trail that was just recently built and that we had never heard of until that very morning when we bumped into an old friend while sipping morning brews at a favorite coffee shop at dawn! 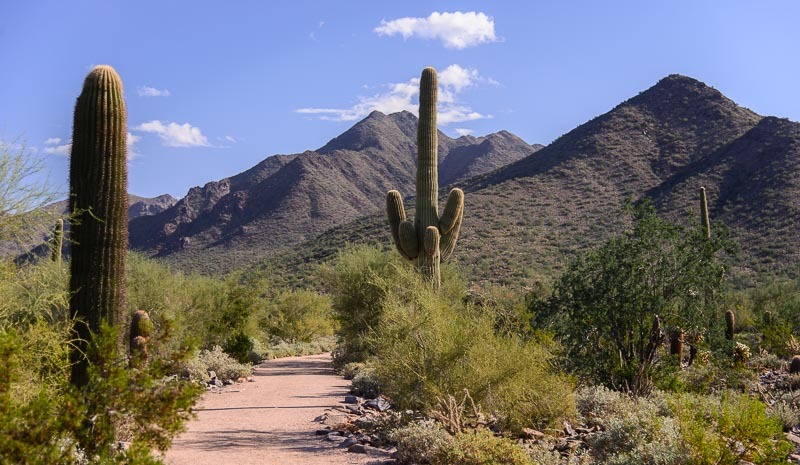 Last year I wrote about the wonderful new hiking and biking trails we discovered in the Sonoran Desert Preserve system in the northern parts of Phoenix (blog post with info links here). 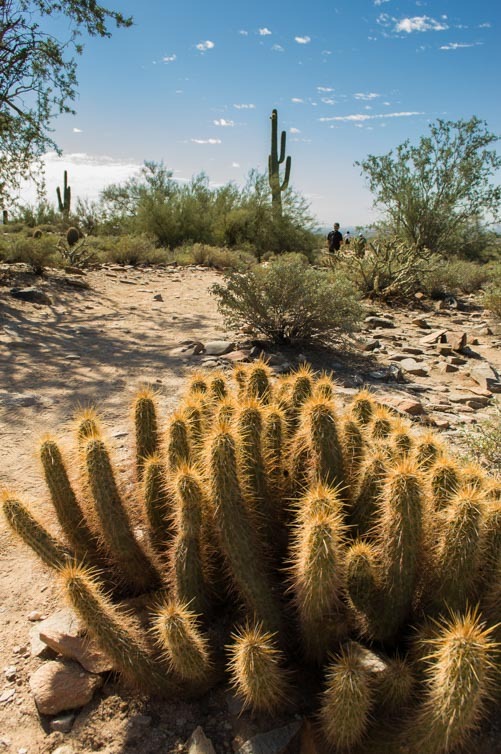 It turns out the McDowell Sonoran Preserve is a completely different trail system in Scottsdale that has eleven unique trailheads of its own that traipse all through the McDowells. You can hike for half a mile or fifteen miles, whatever suits your mood! The trailhead we visited yesterday, Gateway Trailhead, had a large new building with lots of trail maps, flush toilets and a scale model of the entire McDowell mountain trail system. It’s right on the edge of a city neighborhood full of strip mall stores, but after you go just a few paces onto the trail, you have no idea the city is even there. You’d never know you were in the city!